It's the way all new and current Vigeowebsite users can get credits to their active account. Save money and get discounts on your payments. Vigeowebsite is the most innovative Service that completely transforms the concept of Website Builder. To Join for Rewards Program you must be Vigeowebsite users with active account and activate your affiliation directly from your Client Area. After activating your affiliate account, we will place a banner at the end of your website so your visitors can click on it, you do not do anything. When a visitor clicks our banner on your site and places an order. You get a one-time credit of $25.00 for each new customer you refer to us. Rewards are converted into credits to your Vigeowebsite account which you can then use as part of payment of your invoices for the service that we provide you. 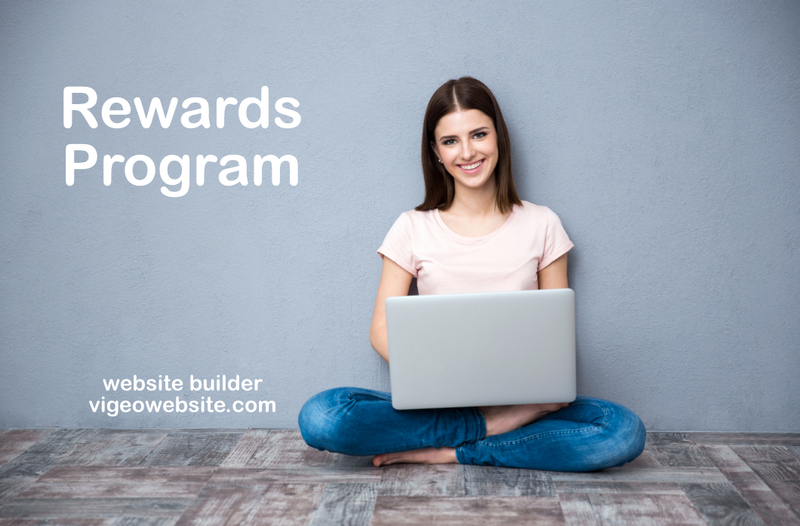 The Rewards Agreement establishes the bases of the Rewards Program and you agree to be bound by this agreement if you decide to participate in the program. When we issue you an invoice, our automated system first looks at if you have any credit available and applies it to the invoice as soon as it is generated. Rewards Program allows you to save money and get discounts on your payments for the service that we provide you.